Broadband has revolutionized the way we view and use the internet. The two main types of broadband technology that have pervaded the market are Asymmetric Digital Subscriber Line (ADSL) and cable modems. Both these technologies are a huge leap from the days of the 56 Kbps dial-up connections, with maximum speeds ranging between 8 to 10 Mbps. This makes one wonder, what’s next? 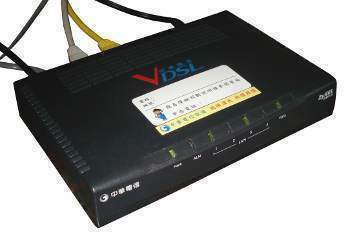 Another form of DSL, known as VDSL or Very High Bit-Rate Digital Subscriber Line, is widely regarded as the next step in Internet connectivity. This technology is capable of providing incredible bandwidth with download speeds up to 52 Mbps and upload speeds of up to 16 Mbps. QAM and DMT are not compatible with each other, and DMT seems to be the technology of choice with current equipment manufacturers. A VDSL connection based on DMT architecture consists of 247 virtual channels populating the available bandwidth. The integrity of each individual channel is constantly monitored; if the signals from a particular channel degrade, the data is transferred to an alternate channel. In this fashion, data is constantly shifted across channels in a VDSL network, ensuring that the best route is chosen for the transmission/receipt of data. VDSL can operate over the existing copper wires of a phone line just like ADSL, with amazing speeds, but with a serious limitation – a VDSL connection is viable over copper lines for only short distances, i.e., 4,000 feet or 1,200 m. But, this limitation is being inadvertently overcome by telecom companies who are replacing copper lines with fiber optics. Most companies are implementing FTTN – Fiber To The Neighborhood, which installs a fiber optic line from the company’s end to the main junction box in a particular neighborhood. Telecom companies plan to extend this further to FTTC – Fiber To The Curb, which involves replacing copper wires with fiber optics right up to the point where individual residential phone lines branch off. If a certain part of the line between the telecom company and the customer is replaced with fiber optic cable in the manner described above, the VDSL signals are “lost in translation”; they are converted from analog signals that traverse the copper lines to digital signals that run along the fiber optic cables, and then back to analog again. Installing a VDSL gateway at the junction box will convert the VDSL signals to pulses of light that can travel through the fiber optic cables. When the telecom company end receives the light impulses via the fiber optics line, it responds by sending data back to the junction box gateway. The gateway converts the received data into analog format again and sends it to the customer’s VDSL modem through a short copper line. This process eliminates the distance barrier that arises in a copper line based VDSL connection and makes long distance VDSL connectivity viable. VDSL is slowly but surely starting to permeate the broadband market and is available worldwide in specific regions; companies like U.S. West (part of Qwest now) offer VDSL services in selected parts of the United States. VDSL2, a second generation version, is capable of providing speeds up to 100 Mbps and long reach performance, working across distances comparable to those reached by ADSL networks. 248 queries in 0.486 seconds.